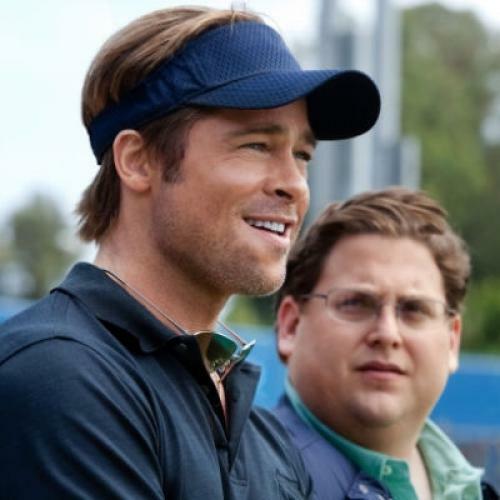 Moneyball, which arrives in theaters Friday, is a tale that is more The Social Network than Major League. Its inspiration, Michael Lewis’s 2003 volume about the success of the underfunded Oakland Athletics and their iconoclast general manager Billy Beane, is, for its part, a business book disguised as a baseball book. The theory of Beane and his Harvard-educated assistant, Paul DePodesta (who is portrayed in the film under the pseudonym “Peter Brand” because he did not consent to the use of his real name), could easily be pulled from an economics textbook: The have-nots on baseball’s financial spectrum, such as Oakland, must thoroughly and creatively exploit the inefficiencies in the player market to compete with the haves. Yet these days, critics and ignorants are fond of declaring that the theory (and its egghead proponents) did not pan out—the A’s never won the World Series and the franchise in recent years has slipped back to the bottom rungs of the standings. Meanwhile, many teams with talent mixes not valorized by Beane and the A’s are cleaning up. Never mind that eight consecutive winning seasons with a cut-rate payroll, including four straight playoff appearances from 2000-2003 and 103 wins in the book’s focal year of 2002, might represent an achievement in itself. The critique of Moneyball suffers, instead, from a narrowly defined and poorly understood conception of what the theory was all about. Beane and the A’s may no longer be winning, and the teams that are defying the odds might be valuing completely different skills than Lewis’s book extols, but the basic market principles of Moneyball—oddly ignored in baseball for so long—remain an enduring feature of the sport. IN THE EIGHT YEARS since its publication, Moneyball as an “ism” has come to refer most often to a baseball analyst’s use of advanced evaluative statistics (OPS+, anyone?) over traditional numerical forms of scorekeeping such as RBIs, or to a roster-building philosophy that emphasizes a player’s ability to get on base over his foot speed. But there is a good reason the book was not titled Statball or Walkball. In fact, the book’s subtitle, “The Art of Winning an Unfair Game,” is a borderline misnomer. The true lesson the book presents is that successful strategies should be more science than art. In-depth statistical analysis is a means, more reliable than bias-prone scouting tenets, to identifying inefficiencies in the player market. Employing otherwise unexceptional players with a remarkable ability to get on base was merely one leg-up in an inefficient baseball market that the A’s front office deduced. Moneyball supporting character Scott Hatteberg, a plodding journeyman catcher recast by the A’s as a first baseman, defensive shortcomings be damned, because of his ability to draw walks, typifies the focus on “on-base percentage” that characterized smart-money teams in the early stages of the last decade. Oakland had an organizational faith in the statistic as correlative with the team’s success, but the strategy, from a business point of view, was based on the hidden value of players with that skill set who were illogically shunned by other teams. Hatteberg signed a contract with the A’s in 2002 for $900,000 (peanuts by baseball standards), and his offensive production that season offered his team a roughly five-fold return on its investment. Soon enough, however, other teams caught on to the usefulness of a player’s on-base percentage, slowly raising the price on the Hattebergs of the world and making them a less savvy buy for the cost-conscious A’s. Indeed, the game’s ensuing emphasis on fielding in recent years—a skill that Beane largely discounts in his book—displayed a truer expression of the Moneyball methodology. With so much attention on run creation, a soft spot in the player market developed for run prevention, especially as offense declined in the wake of the so-called Steroid Era. And whereas on-base percentage was a long-standing statistic receiving new weight in the market, teams in search of an edge now turned to novel defensive metrics—figures like Ultimate Zone Rating (UZR) that use video analysis to track fielders’ abilities to convert balls hit to their position into outs. Teams such as the Tampa Bay Rays and Seattle Mariners used this decidedly Moneyball notion to engineer dramatic year-to-year turnarounds. This year, the Arizona Diamondbacks, with the sixth-lowest payroll in the sport, a mere one-quarter of the behemoth New York Yankees and about 20 percent lower, even, than Oakland’s, are poised to win their division despite sporting an utterly substandard team on-base percentage. But they have standout fielding numbers and a newly adequate bullpen after devoting significant offseason energy and dollars to recruiting relief pitchers—a position the early iterations of Moneyball (see the book’s featured sidearmer Chad Bradford) instructed was filled with adequate dime-a-dozen options and therefore not typically worth shelling out for. Beane, meanwhile, who was depicted in Moneyball as loathing the unproven status and raw skills of high school pitchers compared to college pitchers, gave 6-foot-7, 16-year-old Dominican right-hander Michael Ynoa $4.25 million in the summer of 2008, a record signing bonus for a non-Cuban amateur. Ynoa turns 20 on Saturday and has thus far logged nine minor league innings. And in January 2010, Beane signed former Milwaukee Brewers ace Ben Sheets, whom he had dismissed in the pages of Moneyball as an overrated draft pick, to a one-year contract for $10 million, a princely sum in Oakland’s budget. Sheets lasted half a season, with middling results, before blowing out his elbow. BASEBALL’S COGNOSCENTI rarely line up in praise of Billy Beane anymore. Examples like the Arizona Diamondbacks, or Beane’s own erratic shifts in strategy, tend to only provide more fuel to their criticisms. But to some extent, Beane suffered most from his success; publicity makes it harder and harder to exploit a unique market tactic, while proprietary statistical analysis now takes place in all 30 teams’ offices. And other GMs routinely out-Beane the master. Boston Red Sox general manager Theo Epstein is widely regarded as among the game’s best, at least Beane’s equal, yet he has three times the resources to shell out. After seeing the preview for Moneyball with a friend who works in management consulting and explaining to her in digest form the story’s background—the financial disparities in baseball, the statistical innovations, the category fads from on-base percentage to UZR and onward, the unceasing attempts to put value into numbers and dollars into value—she took a minute and said, “Why don’t they figure it out already?” She imagined a scenario where the most relevant skills would be isolated and quantified, the market would stabilize, and relatively poor teams would have no chance of keeping pace with the mega-enterprises. But this overlooks one of the beauties of baseball, of most sports, really: that its prevailing styles change with the seasons, players’ skills boom and recede in worth accordingly, and the market for those players remains in flux. Who knows what the next frontier will be, whether it is tapping previously uncharted amateur talent pools in the developing world, or a kinesiological approach that may allow pitchers to increase their workloads or help prevent injury. Moneyball, in short, is an idea, its norms constantly evolving to keep pace with a dynamic market. It is a financial necessity for baseball’s penny-pinchers; its failures are failures of execution, not failures of imagination. That the sport’s bargain shoppers may now adopt tactics that seem to contradict the familiar Moneyball ploys is not a repudiation of Beane and DePodesta’s work, but the quintessence of it.